The William Hill Supreme Novices' Hurdle Grade 1 open to horses aged four years and older run over 2m 110y with eight hurdles to jump. At present the going is soft. The first race of the 2013 Cheltenham Festival. Get ready to be greeted by the ''Cheltenham Roar''. Originally called the Gloucestershire Hurdle it was first run in 1946 where the race was split in two or three divisions. Vincent O'Brien dominated this race in the mid-to-late 50s. However, its first running as an individual event saw Noble Life win in 1972, trained by Christy Grassick & ridden by Stan Murphy. Other notable successes included Flyingbolt (1964), L'Escargot (1968), Bula (1970) & the ill-fated Golden Cygnet (1978) who was trained by Edward O'Grady and described by Vincent O'Brien as ''the best horse I've ever seen''. More recent victories have seen Brave Inca (2004), Go Native (2009) & Menorah (2010). Last year's winner Cinders And Ashes won at odds of 10/1, trained by Donald McCain & ridden by Jason Maguire, staying on strongly on the flat to win by one and a quarter lengths. The Supreme Novices' Hurdle is run at a fast and furious pace, which tends to be the norm at this big National Hunt Race meeting. The race attracts a large number of entrants and therefore experience of competing in big fields before Cheltenham is often of paramount importance. Twelve horses have been declared. My Tent Or Yours, trained by Nicky Henderson, has A P McCoy booked to ride. This horse will be the focus of many punters hoping to get off to a flying start. This six-year-old bay gelding - owned by legendary pro gambler J P McManus - will start a hot favourite. This son of Desert Prince was purchase for just £12,000 at the age of three. He won his only start at four when cantering clear at Ludlow in a National Hunt Flat Race. Never out of the first two on all starts, he has excelled with recent victories at Ascot, Huntingdon & Newbury. The latter two successes have seen sparkling displays. He wasn't extended to win the Red Mills on soft ground. Then a truly impressive display in the Betfair Chase captured the imagination. Henderson will be hoping for better fortunes because you have to go back to 1992 to find his last winner - Flown, who was ridden to victory by Jamie Osborne. His only other win came in 1986 with River Ceiriog. Without question My Tent Or Yours is the horse to beat. 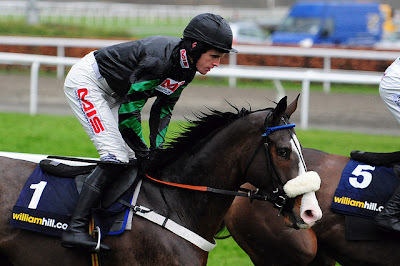 Henderson also fields River Maigue, a relatively fancied horse. On recent form he looks held by Dodging Bullets. It is important to note that for all My Tent Or Yours ability this has proven a tricky race for favourites to win. Only four have found success in the last twenty years. Also, an average starting price of 14/1 details that not only do favourites often lose - big priced horse may have their day. In 2007 Ebaziyan won at odds of 40/1. These statistics give good reason why backers are often tempted by each way value. Paul Nicholls is no stranger to success at the Cheltenham Festival nor the Supreme Novices' Hurdle. Many punters remember Noland winning in 2006, beating Staw Bear in the last few strides. And the exquisite hold-up tactics of Ruby Walsh on Al Ferof who won in 2011. Dodging Bullets is their sole representative. This bay gelding, a son of Dubawi, was bred by none other than L Dettori. This horse has been kept busy over the last two seasons. He raced in Ireland on the Flat as a three-year-old, trained by Andrew Oliver, then started his hurdling career at Kempton. He has a liking for Cheltenham with two success at the end of last year over course and distance. His most recent effort in the Christmas Hurdle (Grade 1) saw a gallant third place. Cheltenham guarantees top-class Irish challangers. In fact, this race has been won ten times in the last eighteen runnings by such horses. One particularly well touted for this year's event is Jezki. Trained by Jessica Harrington, J P McManus is the lucky owner with a strong hand with this gelding and the favourite racing in his familiar green and yellow hooped silks. This son of Milan has done little wrong in his four-year-old career: racing eight times, winning six times, both recent starts at Grade 1. Jezki is likely to be held up just off the pace and finish with some effect. He's been well backed and a live chance. Willie Mullins won this race in 2007 with Ebaziyan, ridden by Davy Condon. He has three horses entered Champagne Fever, Pique Sous & Un Atout. The latter is unbeaten in three starts. This son of Robin De Champs has brushed aside his opponents with contempt. An odds on winner on each start, you couldn't help but be impressed. However, this is a huge step up in class. In his favour, Mullins has a huge string of horses and this five-year-old is clearly held in some regard. The betting indicates this lightly race horse could be a superb talent. I've heard a good word for Cheltenian. After winning a point to point, this ex-Irish horse was sold out of Liz Doyle's yard for £210,000. This son of Astarabad made a winning return at Kempton for Philip Hobbs. Thereafter, he showed class to win a valuable Cheltenham bumper despite sustaining an injuring mid race. Powering up the Cheltenham hill, he beat nine graded winners in a stylish display. Off course for over 700 days, he made a belated appearance at Doncaster this February. This bay gelding traveled easily, holding a clear advantage in the home straight. However, he tired in the closing stages and a poor jump at the last proved costly as he was headed on the line. That race will do him the world of good and improvement should be expected. This course winner looks overpriced at 20/1 and value for a small each way bet. Conclusion: The Supreme Novices' Hurdle sees the start of the 2013 Cheltenham Festival. Many punters will not be able to prize their eyes or their money away from My Tent Or Yours. He will be a tough horse to beat - an outstanding individual. If there is one concern it could be his keen-running style. However, his last performance was pure class. Cheltenham has often proven to be a stiff test for many a good horse. From a statistical point of view Henderson's charge needs to buck problematic trends. Point blank - favourites struggle to win this race. In fact, just two market leaders have won in the last eighteen years. Make no mistake My Tent Or Yours will be a tough nut to crack. However, priced at such short odds, many backers will be searching for each way value. William Hill sponsor this race and give value hunters a great offer with 5 places (1/4 odds). This is also coupled with their new C50 offer which is a free match bet up to £50 for new account. Here are a few pointers worth keeping in mind. Thirteen of the last eighteen winners have won on their last start. Don't be put off by horses making their Cheltenham debut. Twelve of the last eighteen winners have never run at Prestbury before. Pay particular attention to changing ground conditions. If the ground is fast take note of horses with Flat breeding, if the rain falls you may need horses with plenty of stamina. J P McManus sets the standard with the first and second favourite. Jezki has been well supported and the Irish raiders should always be feared. Jessica Harrington's gelding looks a sterling each way bet.